The 2019 C-HR will be available in four trim levels. 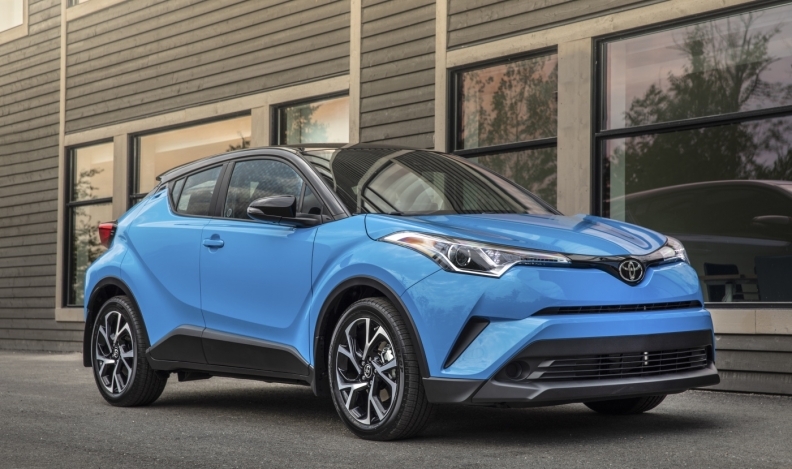 Toyota Canada has dropped the base price of its 2019 C-HR subcompact crossover and added more standard equipment when compared to the outgoing model. The automaker said Monday the vehicle’s starting price will be $25,490, shipping included. That’s about $1,000 less than the initial base price of the 2018 model, originally unveiled back in April 2017. The 2019 C-HR will be available in four trim levels. The C-HR LE is the jumping off point, at $25,490 while the C-HR Limited tops out at $30,590, shipping include. The XLE and XLE Premium are sandwiched between at $27,540 and $29,140, respectively. All models are equipped with a windshield deicing system, a larger eight-inch display screen featuring a backup camera, Entune 3.0 and Apple CarPlay with Smart Device Link. The XLE and XLE Premium trim levels include Entune Audio 3.0 Plus. The new Limited trim level adds leather seating, ambient lighting and rain-sensing wipers to all the standard equipment of the XLE Premium grade. Under the hood, C-HR’s 2.0-lite four-cylinder engine sends up to 144 horsepower and 139 lb-ft of torque to the front wheels via a continuously variable transmission with intelligent shift. The C-HR comes only in front-wheel drive in North America, while some European versions spin all four tires. All C-HR models come equipped with the Toyota Safety Sense suite of safety features. “In just its second year of production, we’re already enhancing our unique coupe/crossover with additional features and a selection of trim levels,” Toyota Canada Vice-President Cyril Dimitris said in a statement. Toyota Canada has sold 3,988 C-HRs through the first seven months of 2018.